Pumping is hard work. It can be tough to stay organized and sometimes mentally difficult to encourage yourself to keep going. This is my rah rah for you momma! 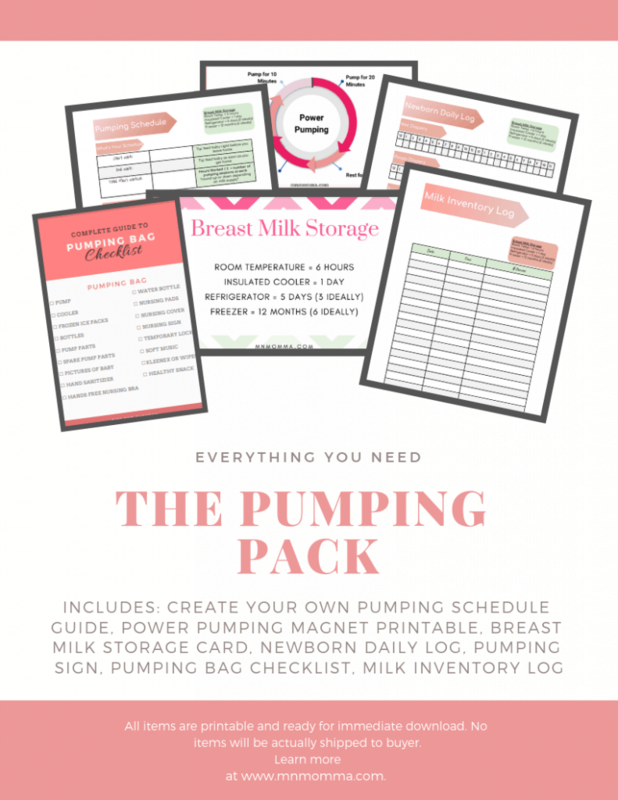 I want to help you stay organized and as stress free as possible during your breast pumping experience. Because all moms deserve an easier time breastfeeding and pumping. Ready for the Ultimate Pumping Pack? Get everything you need to get started with these 7 printables. All products are instant downloads and ready to be downloaded and printed immediately. No physical products will be sent. Only $5 – because all moms deserve to have less stress.